E3 is just around the corner (!!!) and the hype level has reached Super Saiyan levels this time around. Sony, known for its almost theatrical press conferences, will once again take the final slot of Monday evening. There’s a few games that we know will show up in some capacity, but there’s still room for a lot of speculation. Let’s talk about it until our hands are sweaty with excitement, shall we? We begin with one of the games confirmed to be at the show, and it’s been a while since the game’s confirmation. Naughty Dog and its Vice President Neil Druckmann have been teasing the game’s big reveal at E3 for weeks now, so it’s clear they are excited. We don’t know what exactly will be shown, however. A story trailer, the first glimpse of gameplay, a tag-team racing mode? Time will tell, but you can be pretty certain that whatever is shown will blow you away. 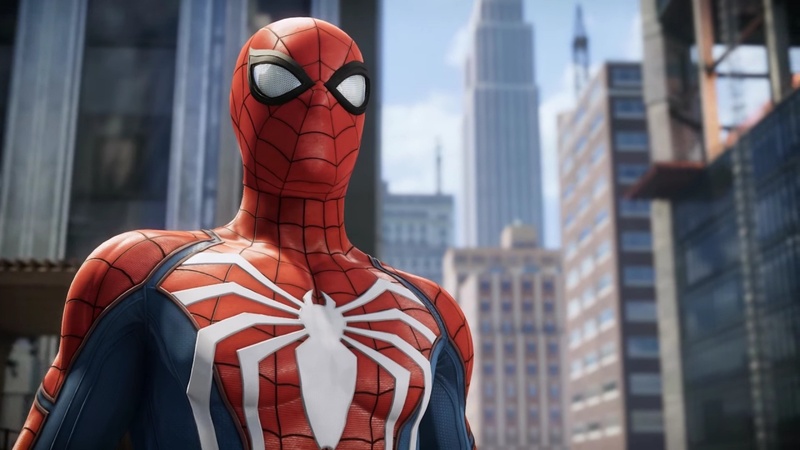 Another PS4 exclusive confirmed to show up is Insomniac’s Spider-Man. From what we’ve seen, it looks like this is the game fans have always wanted, developed by people who truly care about the characters and world. The game is set to release this September, so expect to see an almost finished version of the game. Maybe they’ll reveal a PSVR mode. Maybe I’ll put on my red and blue tights and never need to play anything else again. It’s hilarious how hyped this game gets us every time something new is shown, yet we have absolutely no idea what this game’s about or how it plays. That’s just the power behind creator Hideo Kojima. Hopefully we will finally see the actual game, though I’d be okay with more Norman Reedus babies too. Sucker Punch, the creators of Sly Cooper and Infamous, finally revealed their new game last Paris Games Week, Ghost of Tsushima. We don’t know much, except that it’s an open world, but it looks like a massive departure from their previous projects. We want some gameplay with beautiful particle explosions a la Infamous: Second Son. That’s it for the confirmed titles, but what else is gonna fill the likely two hour show? We got our first (very brief) glimpse at From Software’s next game at last year’s Game Awards. It was basically a gross hairy thing on a map, so not much to go on. The safe bet is Bloodborne 2, the sequel to that game where you fought monsters with four heads and eight butts using large kitchen utensils. It could be something else, however. Bloodborne director Hidetaka Miyazaki said he was done with the Souls games, and Bloodborne pretty much counts as one. So it could be anything, perhaps even the long-awaited Parappa the Rapper 3 or Sly Cooper 5. “Apparently” this game is coming out in 2018 (that’s this year). It is hard to believe, but recent coverage makes the game look pretty close to complete. With only a handful of worlds revealed, it’s about time we see some new locations before the game’s release. We want a Frozen world, an Incredibles world, and a world based on Tim Allen’s The Santa Clause (you forgot that was a Disney movie, didn’t you?). Square Enix has its own conference this year, but there’s a safe bet that KHIII will double dip and show something at both shows. Square Enix sure is taking its time on revealing info about this one. (It’s almost like there’s a tremendous amount of pressure remaking one of the most beloved games of all time!) We can forgive the long development time (just let it be good), but we want to see more. What does the world map look like? How long is Sephiroth’s sword? Is Vincent still sad? How much time will we waste in the Gold Saucer? These questions and more will haunt our dreams until we finally see something new from the title. Don’t let us down Sony and Square. Ed Boon, co-creator of Mortal Kombat and the best game developer to follow on Twitter, has been at his usual tease/troll self lately. That makes sense though, as it’s the perfect time to reveal the next game in the series based on Netherrealm Studios’ development pattern. Every two years since 2011 they’ve released a MK game, followed by an Injustice game. MKX was revealed at Sony’s show in 2014 and released the following year and we think the same thing will happen with MK11. Another remake that’s been a no-show since 2015, Capcom has literally revealed nothing about this title except that it exists. Will it be first person like RE7, third person like RE4, or have the classic fixed camera angles of the originals? Who knows. All we hope is that it’s as scary as RE7 was. In fact, we wouldn’t be surprised if RE2 has a PSVR mode like the terrifying version in RE7, hence it showing up at Sony’s show. Imagine those Licker tongues in VR…okay, maybe VR is a bad idea. Another Capcom title, this one has been heavily rumored for the last year or so with a recent trademark registration piquing our interests fully. Why would this be at the Sony show? Well, the franchise got its start on PS2 and Capcom and Sony have been playing nice lately with Resident Evil 7 and Street Fighter 5. Being called Devil May Cry 5, it’s likely that the game would return to the canon of the original games and ignore Ninja Theory’s 2013 reboot. The big question is where it will fit chronologically in the series. Currently, the order is 3, 1, 4, 2, so if it’s after 2 then it’ll officially be even more confusing than the Metal Gear franchise. And that’s what we think will be at Sony’s E3 show! Even with just the four exclusives at the top confirmed to be there, it will be quite the show, but Sony is known for its surprises. Remember when RE7 came out of nowhere in 2016? What about that KH3 trailer in 2013? Anything can happen, and that’s what makes E3 so special.